Today I'm having to travel into London to have a Cardiac MRI, I have these scans about every 18 months to get a more detailed look at my heart but today's is particularly important. I'll still find myself doing a lot of waiting around though so I thought I'd do a little post about how I keep myself occupied and some of my tips and tricks. 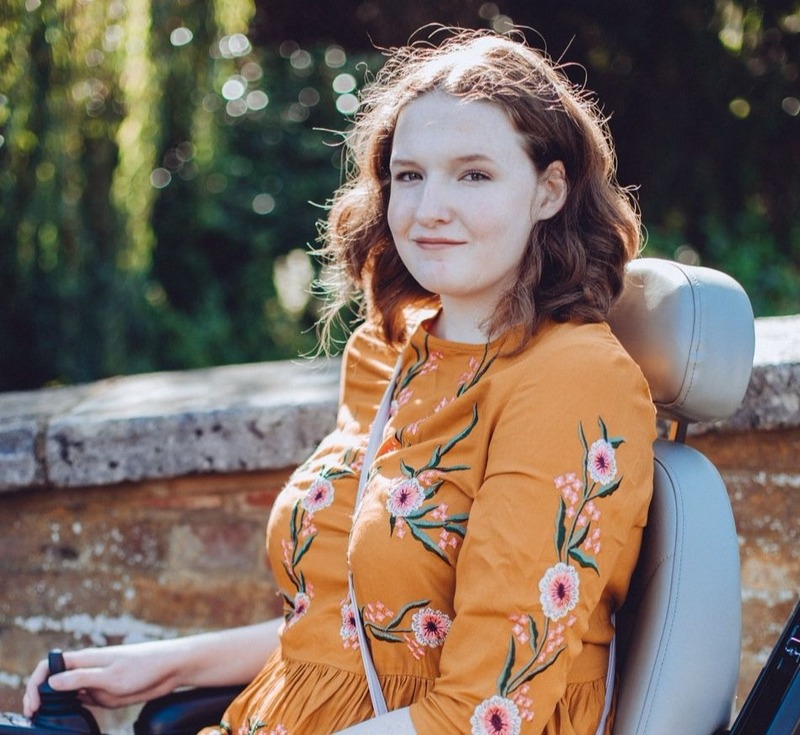 I have hospital and doctors appointments several times a month and I've stayed in hospital, usually following surgeries, quite a few times now so I thought I would just share some of the things that make these experiences a little more comfortable for myself. This is definitely a post for my fellow spoonies! 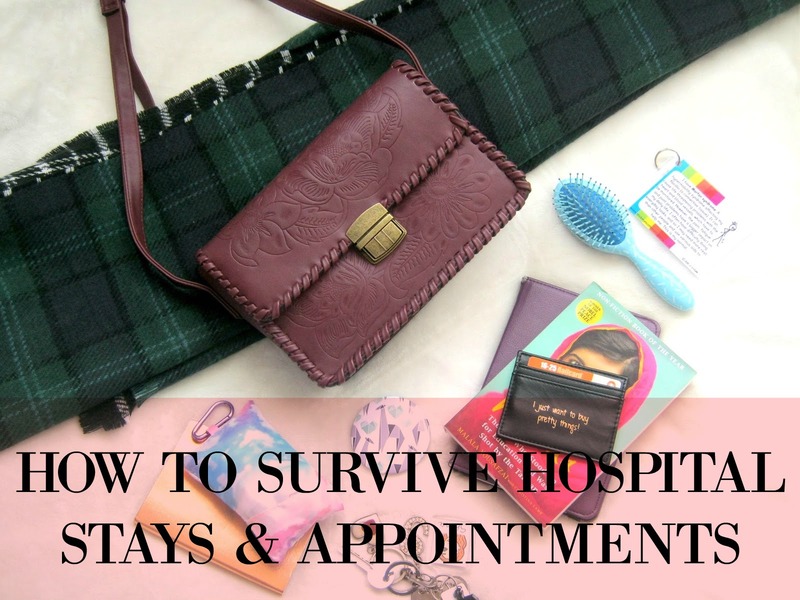 Whether you're just going to a hospital appointment or you're stuck in hospital for a stay entertaining yourself is pretty important. For hospital stays you might find at first you're too sick or in pain at first but I find after a few days I'm okay enough to get a little bored. For appointments I tend to stick to books, some hospitals provide free wifi but I never find it to be too great, if you can get a signal though it's a good time to switch on your 3G/4G! Make sure to bring a portable charger with you if that's your plan, I've found myself sitting in waiting rooms for hours before and having your battery die halfway through isn't fun. For longer hospital stays I find books are still a good option but it is difficult to concentrate on busy and noisy wards and if you are in pain or discomfort. Some wards might have TVs, I found this happened more when I was on children's or adolescent wards but on any other adult ward I've stayed on they at least have a family room with one if that is something that would keep you occupied. I find that on wards you can often pay for a day or a weeks worth of wifi which is what I usually do, it means I can watch things on my iPad and keep in contact with people. If you have family or friends visiting you it might be a fun idea to ask them to bring a board game that you could play together to take your mind off things or some magazines which are a little easier to read than books. For my hospital appointments that I know will be longer than usual, like my MRI scan today, I always pack a few snacks. Things like cereal bars are easy to pop in your bag, most hospitals have a little shop where you can get a snack or a drink though. For hospital stays I find this is even more important, especially after surgery. We all know that hospital food isn't great but especially after surgery you need to eat to get your energy up so if you have anyone visiting you it might be a good idea to give them a little shopping list. When you're in hospital it's usually a case of 'eat anything you want as long as you just eat' or at least that's what the nurses often told me if I hadn't eaten enough post op! This often ended in my family delivering Mcdonalds to my bed haha. For appointments I always wear loose and comfortable clothes, often I need to have a scan or x-ray so I try and dress in things without any metal too. I think when you're sitting in a waiting room for a long while you just want to be comfortable, your tightest skinny jeans might not be the best things to sit down in for a long time! It's all about what you like though and how you're travelling, if it's the middle of Winter then leggings might not be a great choice. For hospital stays I always like having my own PJs to change into once I can get out the hospital gown, they aren't the most attractive things and you can never close the back properly so you end up flashing everyone! You can also bring your own blanket or pillow if you want too, that might help you if you get homesick as well. I realise that these aren't exactly groundbreaking new ideas but hopefully it might help someone who is staying in hospital for the first time or is new to having regular appointments! Leave your tips in the comments below too so we can all help eachother!